ASJ AUTOMOTIVE was created in 1996. The first steps of the company consisted of importing filters for cars from USA, while subsequent years were the period of customer acquisition and development – the company gained momentum and its warehouses were constantly growing. In 2002, the company moved from a rented warehouse to its own area, where the company’s headquarters and two large warehouses were created. A professional car service specializing in American cars was established. 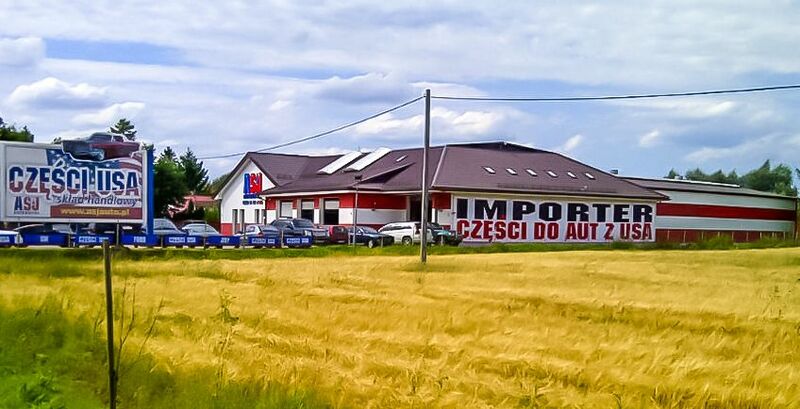 Our office and warehouse of parts are located in northern Poland in Elbląg. Not far from Elbląg i.e. in Gdańsk, we opened the Company Store, which allows for quick implementation of orders, along with the delivery of parts within the entire Tri-City. In the subsequent years, we created points of sale in the biggest cities in Poland. Our partners and customers include: car services, repair shops, stores, and our goods also reach smaller cities/towns, where there’s a customer demand for them. Since 2012, we’ve been implementing our own brand of brake discs AS*TEC, which provides the customers with good quality at affordable price. Since 2015, the company has been expanding its area of operation and the horizons of sale area have been expanded by European countries through distributors, among others: England, Sweden, Netherlands, Germany and we’re working on subsequent European countries. In 2016, the company celebrates its 20th anniversary of operation. The sales department and car service are formed by well-knit group of competent employees - ambitious and passionate people who are knowledgeable about their profession. We’re a direct importer of products of the well-known American brands. Our import is also based on the proven Asian manufacturers, as well as manufacturers from the countries of South America. Currently, the warehouses of ASJ AUTOMOTIVE contain more than 10 000 parts that are available for immediate delivery and they are systematically expanded – we’re considered by our customers to be the biggest warehouse of parts for cars from USA in the entire Poland.